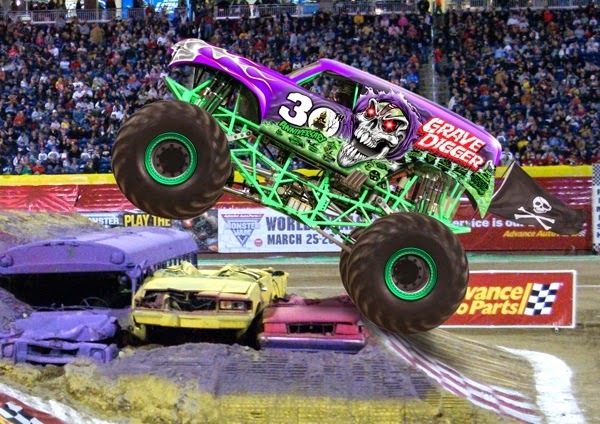 Monster Jam is coming to Corpus Christi, Tx on July 19th & 20th. If you have a monster truck lover in your family, you won’t want to miss this amazing show. And to make the event even better consider taking part in the pre-show pit party where you can get up close and personal with the monster trucks and get autographs from the drivers. Below you’ll find some additional information about the show, and the opportunity to win a 4-pack of tickets plus a Monster Jam play set! The pre-show pit party gives fans (with a pit pass and show ticket) the chance to see these larger-than-life monster trucks up close, meet the drivers behind the wheel, take pictures and get autographs! Tickets will be available Saturday, June 7th at the American Bank Center box office, all Ticketmaster retail outlets, online at www.ticketmaster.com or Charge by Phone at 800-745-3000. FREE Pit Passes will be available at participating Metro PCS locations while supplies last. In store dates TBA. Please see store for details. Pit Passes will also be available for $10 Saturday, June 7th at the American Bank Center box office, all Ticketmaster retail outlets, online at www.ticketmaster.com or Charge by Phone at 800-745-3000. Enter to Win a 4-pack of Monster Jam tickets and a Monster Jam Play Set! Disclosure: Feld Entertainment is sponsoring this giveaway for my readers. No compensation was received. Grave Digger is my boys favorite Monster Jam Truck. I know this sounds like every answer you will here but Grave Digger of course.